Hopefully, this Friday or Saturday the rear brake brackets will be cut out and I can at least see how everything fits. In the meantime my front brake setup saved my bacon on the Freeway when someone merged into my lane when I was going 70 and he was going 15. Worth every dollar. 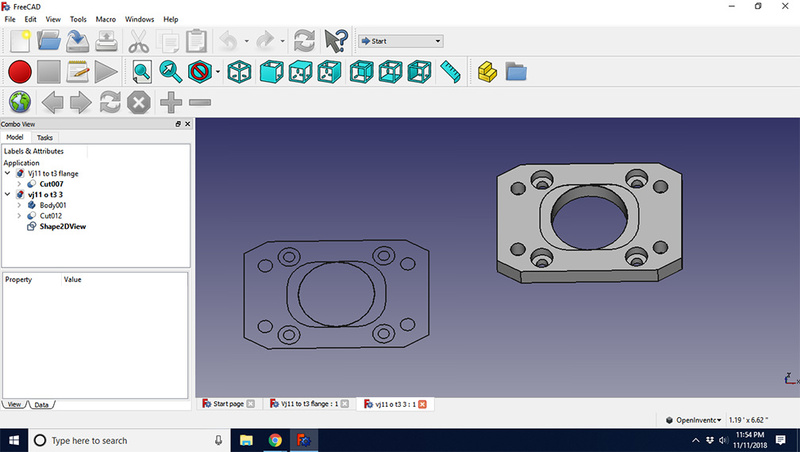 I designed a conversion adapter to run from my t3 flange ram manifold that I am making to the IHI Mazda/Ford RBH5 vj11 flange. I also bought a nice merge collector to save me some money making one. 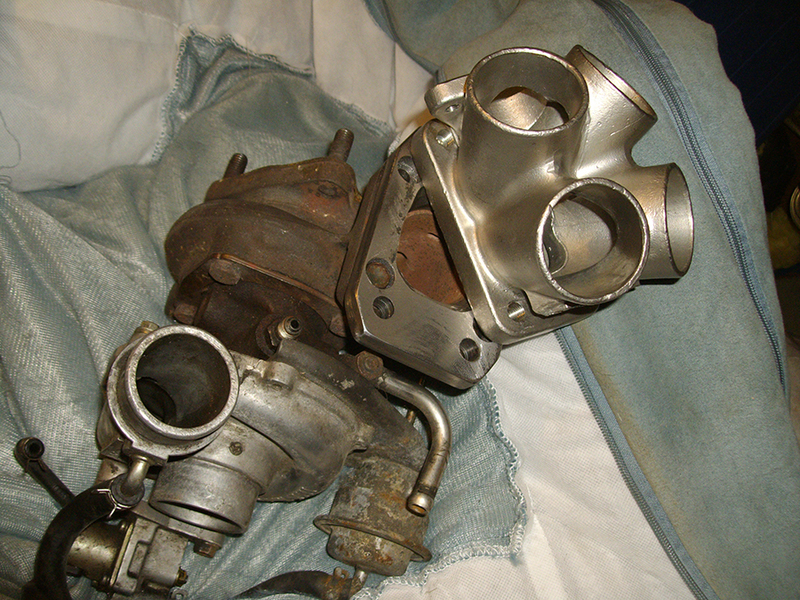 I'll dam the wastegate port until I upgrade to a non-wastegate turbo. I also finally got rid of the stock intake manifold accordion style rubber coupler. 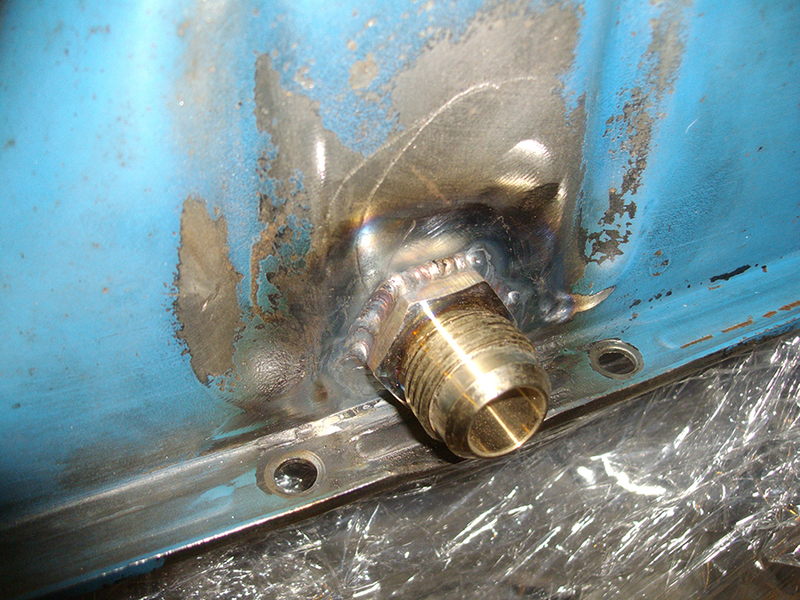 I also routed to a catch can this way, but I think it needs bigger lines. The idle is running rough. Please chime in if this is not the right way to run the lines in and out to a catch can. They came with the car when I bought it. It is useful if I'm hauling extra weight. I really need to roll my rear fender slightly. I get a little rub on the outside edge if I don't have a little bit of air in the bags if I'm cornering hard. I just have H&R Springs (1.4" drop from stock) with newer KYB struts and the rear drops to far down. 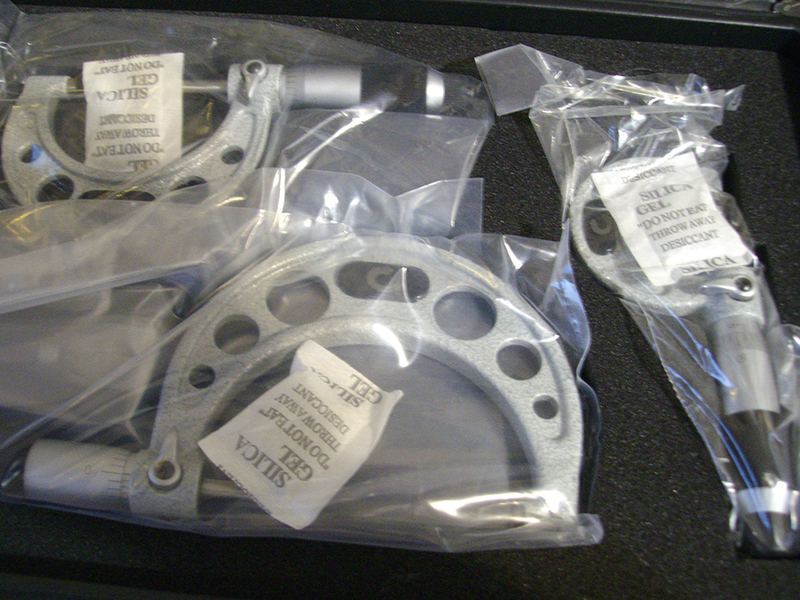 I'm finally getting around to pulling the engine and boring out to 75 mm YCP Vitara pistons with NPR rings. Hopefully, I have everything I need on hand. Of course the pistons came with no information for measuring diameter and for ring gaping. I found some info online for both, but not the manufacture directions. I going for 200 hp and most of the literature says .01 mm PTW for every 100 hp which means I should run a PTW of .02 mm. Anyone have the measuring height, and ring gap listing for top, 2nd, and oil rings? Have a read through Zuboos thread. I killed a YCP piston. RING GAP TOO TIGHT AT 12 thou on the top ring. Broken ring lands. But if you are turbo you won’t be pulling the revs I guess. Now I’m getting forged pistons....the top ring will be 16 thou....bottom 18 thou....yes sounds a lot but that is what’s needed. Do the standard 3 thou per inch of bore at your peril. I ran 2 thou ptw clearance....but it was measured at 2.5 thou after the ring issue. With forged I believe they will be 4 or 5 thou. The ring gap is what I read the Honda guys are running them at 1st .017, 2nd .019, and oil .025. All these numbers are still inside the limits of what Suzuki list in the 92 Swift FSM for the stock piston ring gap which is 1st .0275, 2nd .0275, and oil .0669. Are you saying .002" of PTW clearance? That is a lot more than the .0008" to .001" that I am planning on running. Are you talking about piston diameter to bore diameter difference of .002 which would be double the PTW? Hi. 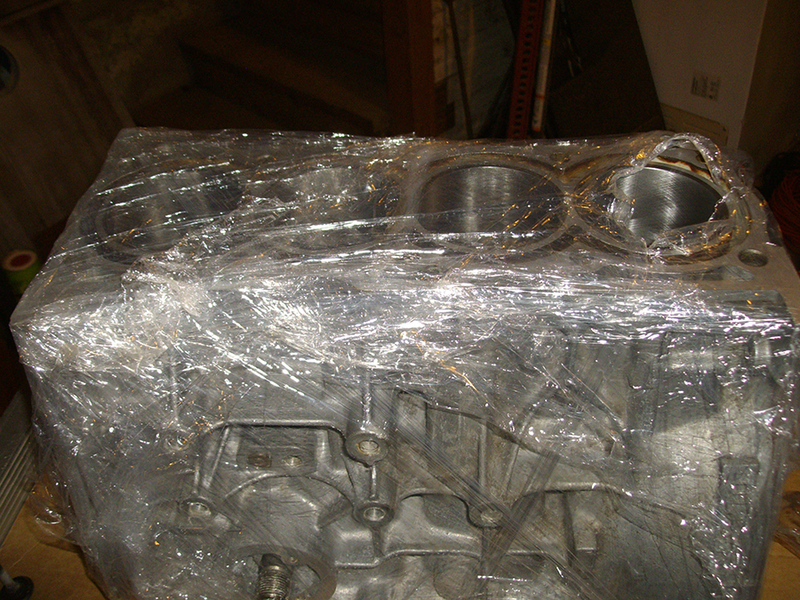 On the piston clearance deal. Yup sorry I’m talking piston to bore clearance. Didn’t know there was a fifference. I’d definitely go with the Honda specs for the rings......I’d set piston to bore at 2 thou....we had no issues on the piston with that clearance even when the engine got to 105 degrees c. But at 12 thou the top ring on cyl 4 nipped.....the race builders my engine is at now said 16 thou on the top ring would have saved it. But I’m not risking it again....JE pistons being built for me.....to be honest the new builder says the Honda pistons would most likely be fine with properly set ring gaps however will never be able to handle the abuse the forged pistons can....On my third build in less than 100 laps so if I’m going to have that third go I’m doing it properly which is what I should have done from the start. Will that makes me feel a little bit more confident. I'll go with the 16 and 18, and probably come down a little bit for the oil ring maybe 18 or 20 thousandth. 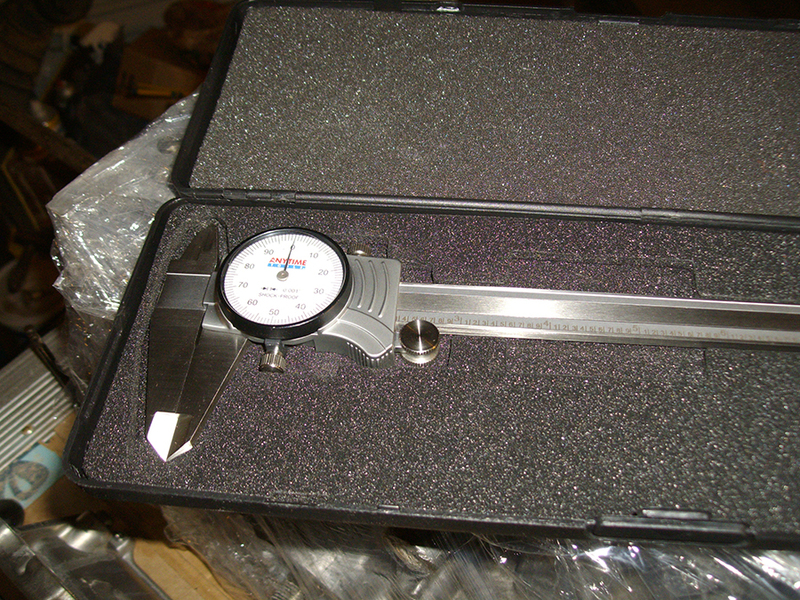 Either way I won't have it in the the machine shop until at the earliest the 2nd of the New Year. I hope the machinist can get it back to me quickly before I'm done with my winter break from teaching. Otherwise I will be slowly piecing things back together after work. Thank you for the info. No problem. No piston rattle at 2 thou piston to bore clearance either....I’m sure those gaps will be fine...you racing it? 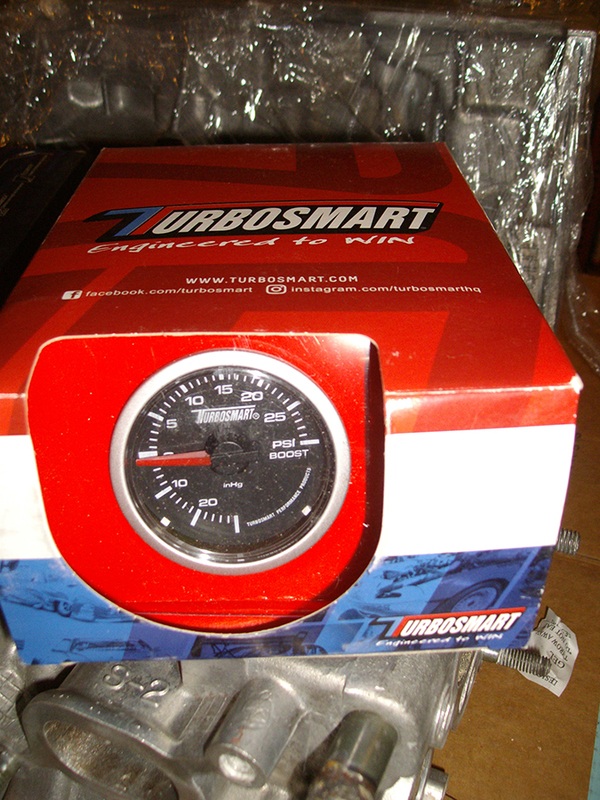 Mine sits between 6000 and 8500 rpm for most of its running time. Hence needing such bloody big gaps. I still do not have the rear installed, because I don't want to install them completely until I get the spot calipers worked out. Just the fronts alone without changing the brake booster is a very noticeable difference between my stock white GT which I'm driving while the black one is being rebuilt. I took the base line numbers before installation, but never recorded the 60 to 0 numbers after install. By the seat of my pants feel there is a lot more control in the Wilwood system. The lock up numbers from 60 to 0 where way longer. 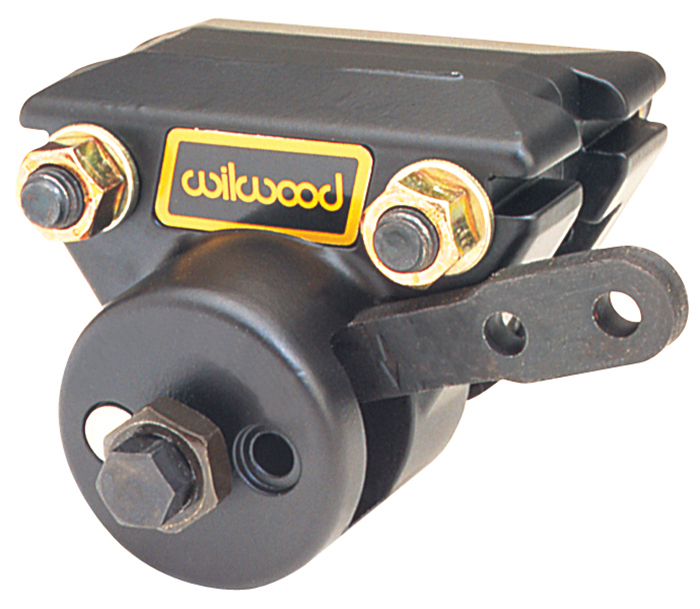 With the Wilwood system you have more room before you hit that point of total lock up. It is a slightly longer push on the brake pedal. Once I get her back together I will get around to recording some real 60 to 0 numbers, and then install the larger brake booster which I think I will need before installing the rear system. 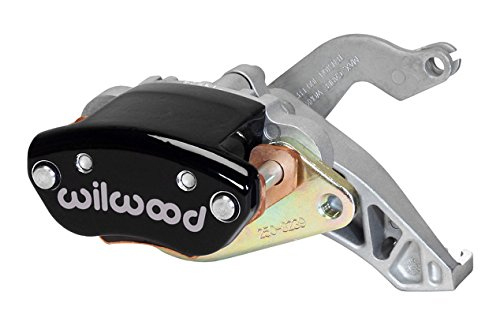 I'm going with the Wilwood MC4 Mechanical caliper for my parking brake. This is the one I was going to go with but there is no way to lock down the cable, and I read bad reviews. It was not promising having to come up with another bracket to lock down the cable or use the heavy stock cable bracket. The MC4 has a bigger pad and actually has a piston. 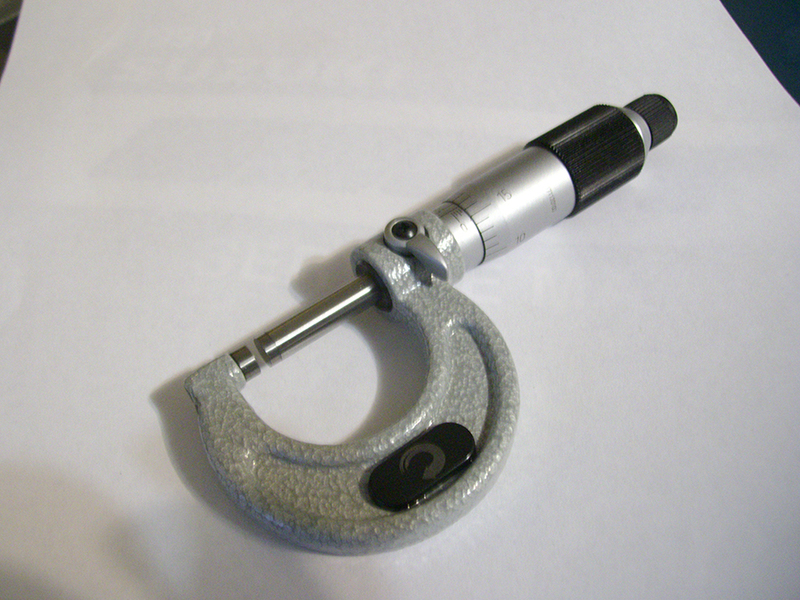 The MC4 is 1.6 lbs heavier at 3.3 lbs but it has the lock down cable bracket on it. The stock cable bracket is probably more than 1.6 lbs by itself. 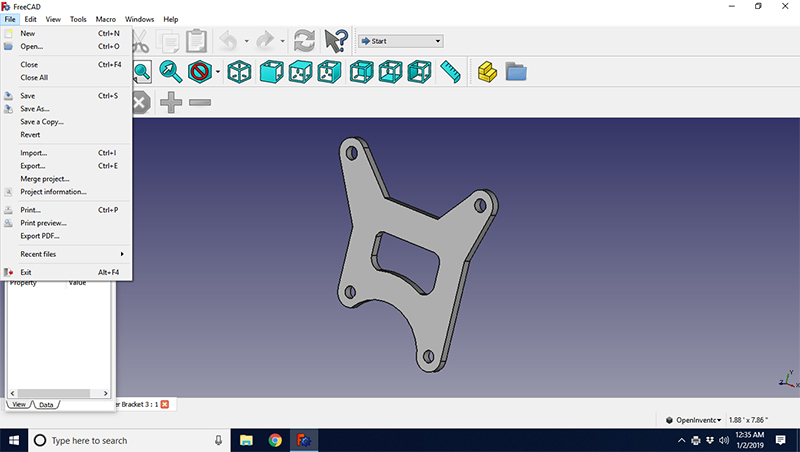 Completed FreeCad file for MC4 bracket. This is 1/4" thick, and a single cut with one facing which makes it easier to have someone make. I think this bracket will weigh under .75 lbs. If you don't need a parking brake you can save a lot of weight. Overall 4.05 lbs (8.10 lbs total) is not going to be anything on a street car. I'll have to go back and check the total weight vs stock. I think I might be slightly under stock weight. Way safer in my opinion. This fits on top of the other rear bracket and will require only two .03" shim washer, and two longer 10 mm 1.5 bolts. This was a pain to install. 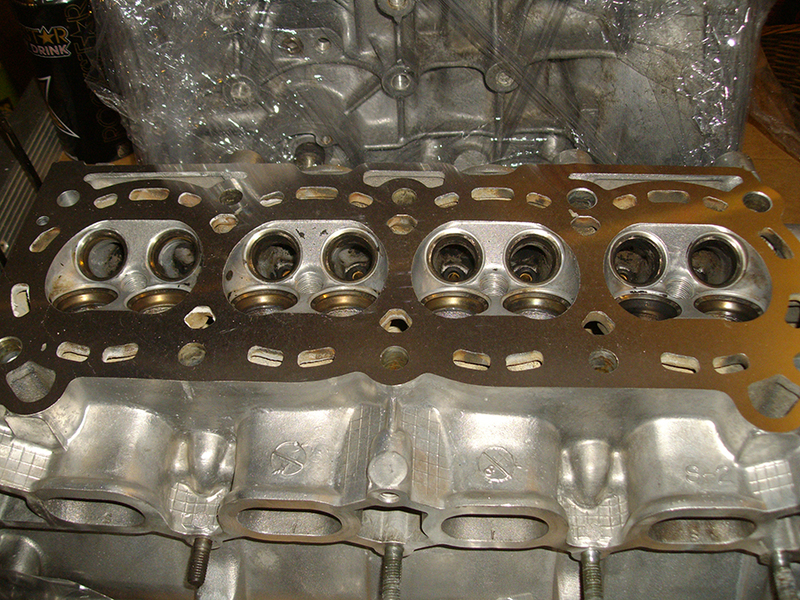 I had to buy JIS 10 mm x 1.25 bolts and grind the flange off, four 12.9 8 mm x 1.25 hex cap bolts and grind the heads down 1 mm. 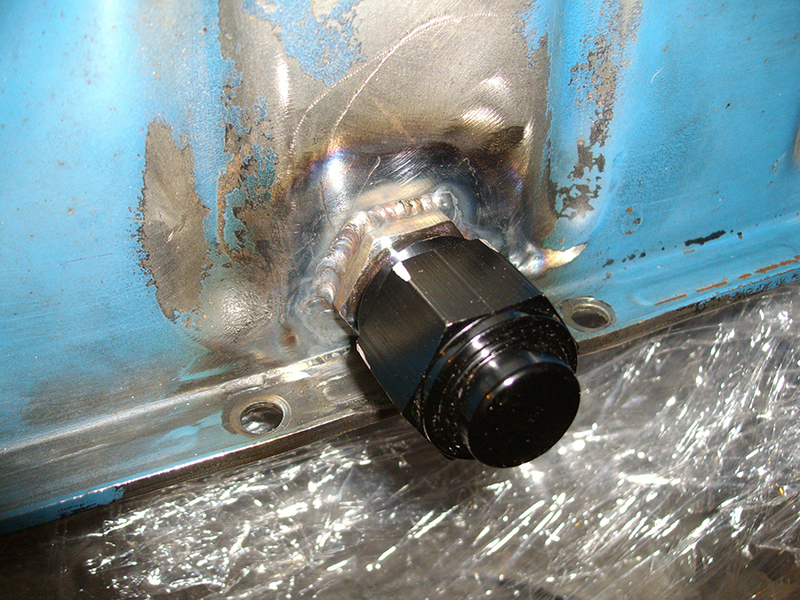 I had to convert one of the 10 mm bolts to a 12 mm head and cut it down to length. I also had to make some 10 mm spacers to tighten everything down. 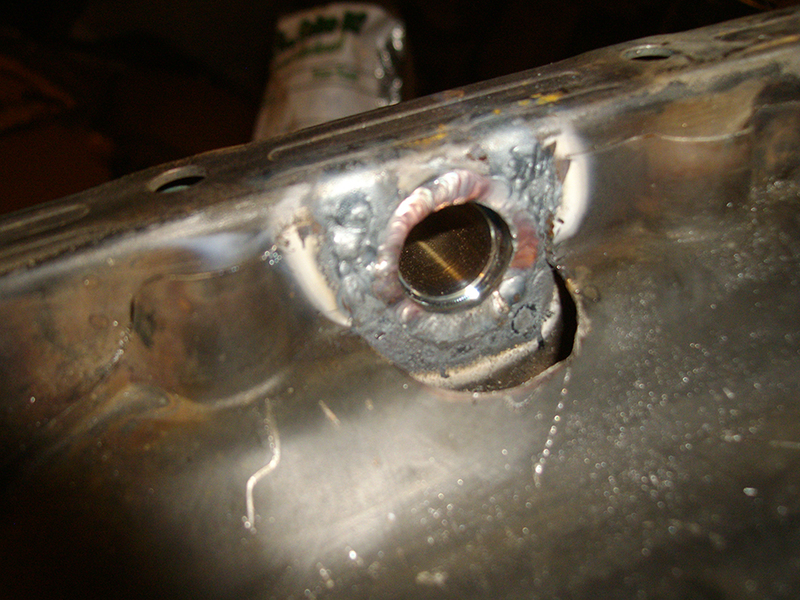 Last I had to grind just a little bit off the turbo flange for the spacer to slide by. Last edited by GT4LIFE on Tue Jan 15, 2019 11:39 am, edited 1 time in total. That is the oil pan sump. I just ran it as high as I could. 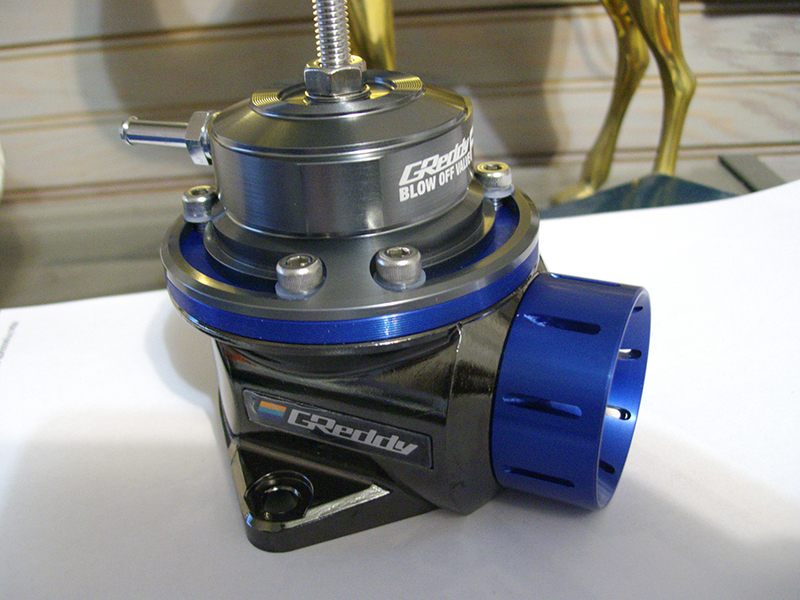 I know I could have put it into the block similar to where the t3 turbos have there oil return, but didn't want to be fighting gravity if I dropped the turbo down too low. Are you guys tapping the 8 mm exhaust studs up to 10 mm studs? 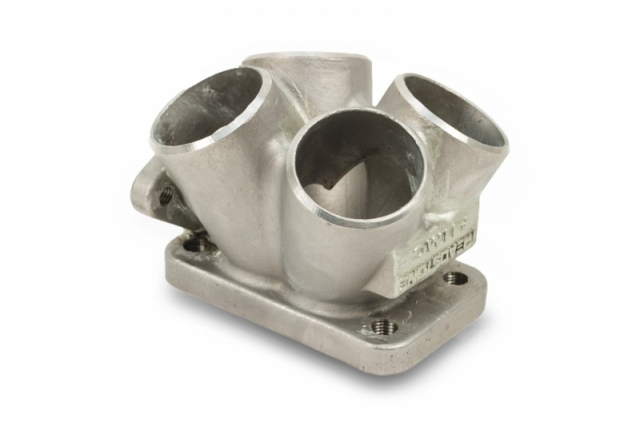 I had huge problems with 8 mm studs on my Mazda from the stress of the turbo. Does the G13B block have room to up size?